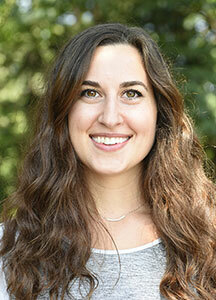 Carlina DiRusso is a doctoral student in the Donald P. Bellisario College of Communications. An Ohio native, she earned her bachelor's degree in strategic communications from Ohio State University. After gaining professional experience in digital marketing and public relations in the music industry in Los Angeles, she earned a master's degree from Cleveland State University, where she honed her research interests in media psychology theory and methodology. Now at Penn State, Carlina’s research examines how information processing influences the persuasive effects of mediated health and science communication. She is particularly interested in the psychological and behavioral outcomes of persuasive messages in social media, and how the interplay between messages and visuals can influence emotions, processing and persuasion. She is currently involved in projects that examine environmental communication and misinformation in social media. Carlina has presented her research at conferences like ACM’s SIGCHI: Human Factors in Computing Systems, the National Communication Association, and the Association for Education in Journalism and Mass Communication.